The complexity of our K-12 education system sometimes makes it difficult to identify clear wins for the nation’s public schools. Big milestones–record-high graduation rates or test scores, for instance–are often met with caveats and even bigger questions. But according to the national nonprofit EducationSuperhighway, American schools finally have something to collectively celebrate, no strings attached: Today, 40 million more students have broadband access compared with 2013. That means, in just five years, the number of students with access to high-speed internet in schools is up more than tenfold. It’s a tremendous technological achievement–one that school administrators, policy leaders, and community members can all get behind. Now, the onus is on school leaders to harness the power of ubiquitous high-speed connectivity toward stronger learning and deeper engagement with students and parents. The achievement of widespread school connectivity didn’t happen overnight–and not without incredible cooperation between federal and state governments and local schools. Many K-12 policy discussions are sharply partisan, but the goal of providing every student with high-speed internet has for a long time received support across party lines. At the head of this effort is the Federal Communications Commission (FCC) and its E-rate program, which provides grants and discounts, with the goal of boosting K-12 school connectivity to at least 100 kbps per student. For more on staying connected with students and parents, sign up for the TrustED newsletter. E-rate, coupled with nearly $200 million in state matching funds, and increased flexibility among supportive internet service providers has helped 98 percent of school districts implement some form of digital learning. “I think this has been a win-win-win across the table,” Marwell says. With new programs and cheaper access to broadband, Marwell says schools are nearly at a point where every teacher in every classroom has the choice to incorporate digital learning. But capacity and effectiveness are not one in the same. Marwell says there will be a learning curve before teachers can fully and effectively embrace connectivity to the educational advantage of students. 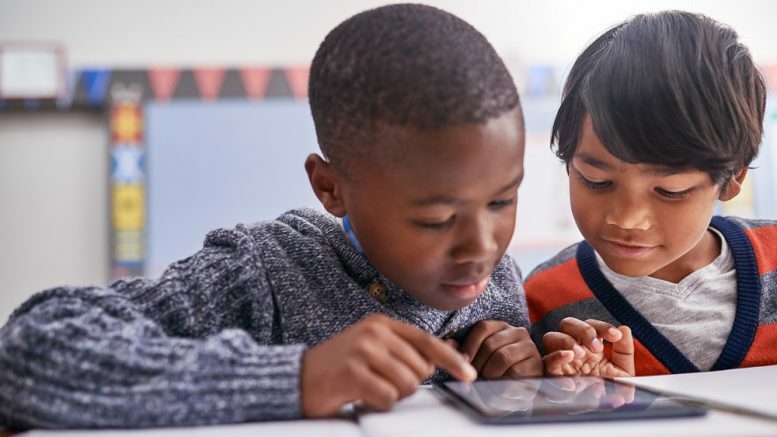 Stronger connectivity also opens the door for more robust technology programs, such as 1:1 and BYOD initiatives in schools. When students bring home devices, Marwell says, it gives parents a better opportunity to see what and how their kids are learning, which establishes a culture of parent trust and engagement. While not every school district has achieved broadband access–about 2.3 million students are still without high-speed internet–the latest expansion of connectivity represents a real opportunity for school leaders to consider new frontiers in digital learning. Has your school or district achieved high-speed connectivity? If so, how are you using the power of broadband to expand learning and community engagement in your schools? Tell us in the comments. Be the first to comment on "40M students now have access to broadband. Here’s what that means for K-12 schools"